Call for Program Proposals for Symposium 2020! 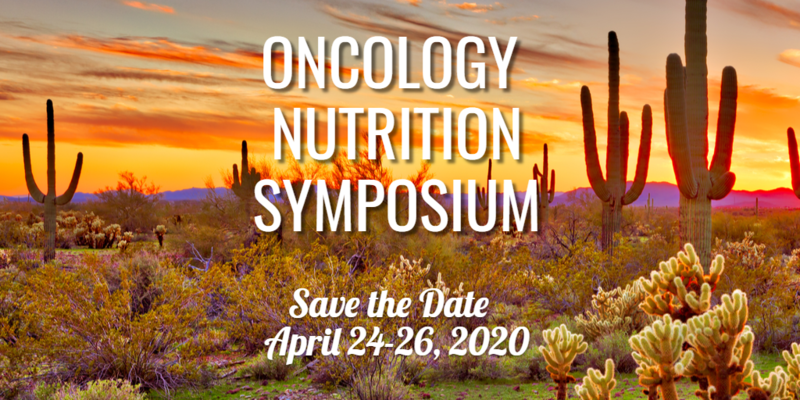 The 2020 Oncology Nutrition Symposium will be held at Renaissance Phoenix Glendale Hotel & Spa in Glendale Arizona on April 24-26 2020. The Planning Committee is looking for innovative presentations that highlight what is new in oncology nutrition. Please submit your proposed submission by following the proposal submission requirements found here. Return the application to Heather Bell-Temin at heather.bell_temin@hotmail.com by March 31, 2019.